The Perioperative experience encompass the three major phases of surgery—the preoperative, the intraoperative, and the postoperative phase. The Preoperative Phase extends from the time the client is admitted in the surgical unit to the time he is prepared physically, psychologically, spiritually and legally for the surgical procedure until he is transported into the operating room. The Intraoperative Phase extends from the time the patient has arrived in the operating room, to the actual surgery, and until the patient is brought to the Post Anesthecia Care Unit (PACU) or Recovery Room. The Postoperative Phase extends from the time that the patient is transferred to the PACU or Recovery Room to the time that he is transported back to the surgical unit, discharged from the hospital, until the follow-up care. Nurses have vital roles in providing care for the patient in a surgical unit. It is the role of the nurse to provide health teachings to assist the patient and his relatives to understand and mentally prepare the patient for surgery and postoperative period. The goal of preoperative teaching should always be for a safe surgery and to avoid surgical complications. Fear is expected on the patient. He may have fear about the unknown, about the anesthesia, his vulnerability while being unconscious. The client may also fear about post-operative pain. He may also fear death or losing a limb. Another fear is the risk of having a disturbed body image after the surgery. The loss of finances and employment dependence are also top worries of the surgical patient. Signs of fear are anxiousness, bewilderment, anger, tendency to exaggerate and being sad or clinging. The patient may have the inability to follow simple directions or tends to have a short attention span. He may also be uncooperative, unable to concentrate or confused. It is the nurse’s role to reassure the patient and provide relaxation techniques. Minimizing anxiety can be of great help in the preoperative phase. Allowing the client to communicate will facilitate verbalization of fears and concerns. The role of the nurse is to give accurate information regarding the surgery. Deep breathing exercises will facilitate the patient in faster recovery also as a relaxation technique. Also it exercises the muscles for inspiration and expiration. An incentive spirometer is often times ordered by the doctor to facilitate blowing and deep breathing. The role of the nurse is to teach the patient how to use the spirometer so that it will be a lot easier for the patient to use it after the surgery. Coughing exercises are also important after the surgery to facilitate the movement and expelling of secretions. Teaching the patient how to splint his would-be operative site while coughing will encourage him to cough effectively his secretions even if there is pain. The patient is now knowledgeable and less at risk for fear of coughing out secretions because of pain. A good cough will help in driving bacteria and secretions out for a better airway clearance. Log rolling exercises are a must if the patient cannot ambulate and will be bed ridden after the surgery. This will greatly prevent the formation of bed sores or decubitus ulcers which are caused by heat and pressure from joints and body parts from prolonged contact to the mattress. This will also facilitate movement of secretions in the lungs as posture is a factor in the drainage of secretions. If there is a need to elevate a leg or a limb after the surgery, it is most important to tell the patient what to expect in the preoperative phase. This can be uncomfortable after the surgery but if the client understands well the reason and need for a particular positioning, he will most likely follow the instruction. Foot and leg exercises are best taught in the preoperative phase. This will facilitate in the early ambulation of the patient. Demonstrating the step by step foot and leg exercises will also prevent muscle atrophy and will provide mobilization to the patient. Exercises increase blood circulation to the lower extremities. If the surgery is made on the lower extremities, a good amount of blood supply will render good oxygenation and healing to the tissues. Range of Motion exercises are also taught to that the patient won’t do some positions or movement that will post greater risk to the surgical site. Encouraging increased in fluid intake will help in preventing infections. A well hydrated patient has faster recovery and is of less risk to surgical complications. Teaching the patient on the diet to be expected will also decrease anxiety. 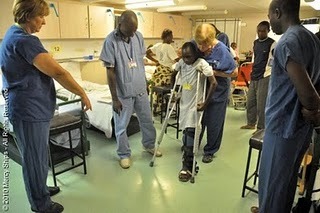 Teaching the patient on how to use assistive devices such as walkers, canes, and crutches will facilitate the person to ambulate earlier than a patient who is taught after the surgery. Verbalization of feelings and concerns are utmost important in the post-operative phase. Establishing rapport with the patient at an earlier time before the surgery will make the patient more comfortable in verbalizing his feelings. A good communication will facilitate a better treatment. This entry was posted in ACL Injuries, Depression, Diet, Incontinence/OAB and tagged decubitus ulcers, intraoperative phase, log rolling, medical surgical nursing, perioperative, perioperative experience, perioperative nursing, postoperative complications, postoperative nursing, postoperative phase, preoperative nurse, preoperative nursing, preoperative phase, pressure sores, rehabilitation, rotating nurse, scrub nurse, surgeon, surgery, surgical anxiety, surgical complications, surgical nurse, surgical nursing on July 11, 2011 by irina.